Home / Blog / First Aid / What Do the Numbers on a Blood Pressure Reading Mean? One of the most common things we think of when we hear of ‘heart problems’ is high blood pressure. Of course, we know that the rate in which our blood is coursing through our bodies is important to our heart health. We need oxygen supplied at a steady rate to all parts of our body to ensure we stay healthy. Although we know the basics of ‘high’ and ‘low’ blood pressure, do we actually know what the numbers are stating and how it is measured? 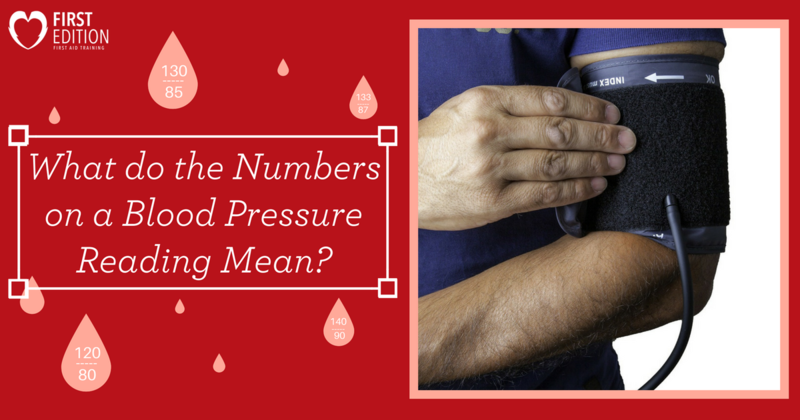 Here is what the numbers on a blood pressure reading actually mean! When we think of measuring our blood pressure we often instantly think of the machines located in drugstores or the ‘sphygmomanometer’ cuff that is wrapped around your arm at the doctor’s. Both of these devices will inflate a cuff around your arm and use a small gage to determine your blood pressure. Some people believe that the machines used to determine your blood pressure are measuring your blood sugar levels, but this is incorrect. By inflating the cuff around your arm (which is placed upon an artery) and then slowly releasing the air, the sphygmomanometer measures the pressure at which the blood is flowing within that artery after being collapsed. Your doctor (or the machine) will measure your pulse as well as use a gadget to measure the pressure of your blood. The pressure of your blood is measured with a scale that uses a unit of pressure called ‘millimeter of mercury’ (mmHg). This unit of measurement will assess what rate your blood is flowing, and thus be able to offer a blood pressure reading. 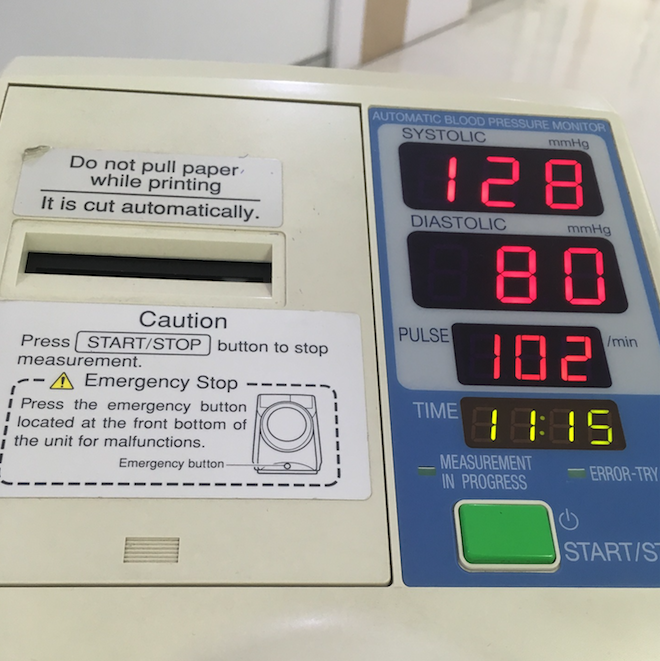 What Do the Numbers on a Blood Pressure Machine Mean? Systolic blood pressure is what measures your blood pressure in terms of the amount of pressure that is experienced in your arteries when your heart beats. Diastolic blood pressure measures the amount of pressure in your arteries when your heart is resting between those quick beats. This slight pause occurs when your heart takes a short moment to fill up with more blood before pumping it to the rest of the body. When these two measurements (calculated in mmHg) are put together, an overall blood pressure is identified. NOTE: Individuals with high blood pressure will also hear the term ‘hypertension’ – which is another word for high blood pressure. This blood pressure rate may be different (and sometimes lower) for those who have kidney disease or diabetes. When you measure your blood pressure, knowing the systolic and diastolic numbers will help you determine if your blood pressure is healthy or not. If your blood pressure is higher, be sure to consult a doctor for determining future actions you should take. 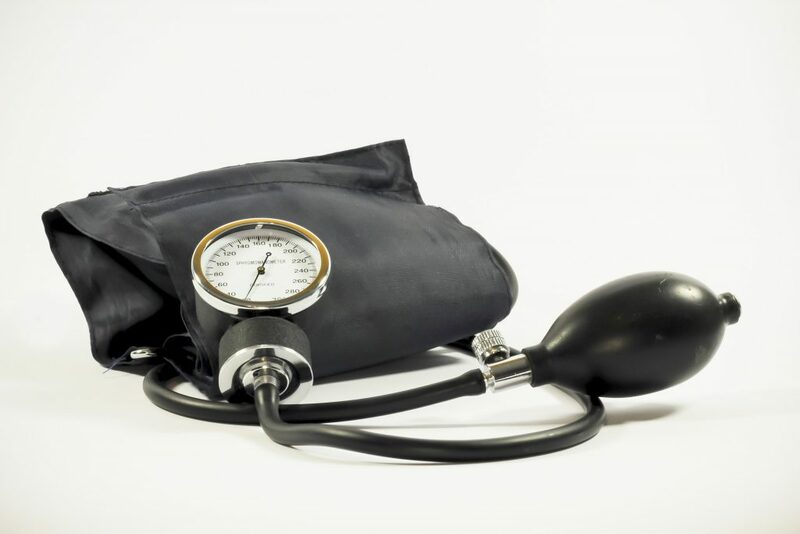 What Do You Do if Your Blood Pressure is Unhealthy? Unhealthy blood pressure can be manageable and even reduced so that you live a long and healthy life and reduce your risk of heart disease! Use these life changes to get your blood pressure on track! When we take action to change unhealthy habits and promote good ones, we are reducing our likelihood of heart disease. The healthier our hearts, the longer and happier lives we can live! Happy Heart Month!